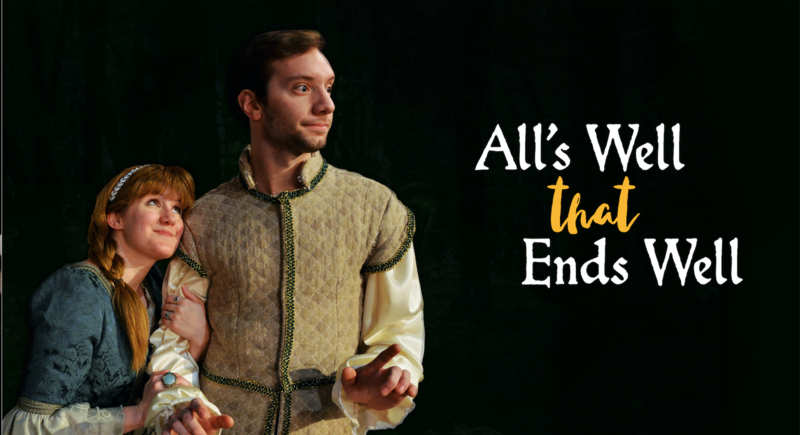 The ending of All’s Well That Ends Well, now being produced by the Ohio Shakespeare Festival, has been charitably called problematic by many through the years. This play, often cited as one of Shakespeare’s “problem plays,” concludes with an ending that works only if you suspend everything you know about human nature. But setting that aside, there’s a bigger issue afoot here involving the OSF approach to staging plays, which goes beyond whether this “comedy” about deceit and self-deception actually works. For 17 years Ohio Shakes has been in summer residence on the grounds of Stan Hywet Hall and Gardens. And the co-artistic directors Terry Burgler and Nancy Cates have taken care to present Shakespeare plays in a specific manner: Always in period costume and always performed in a highly accessible way. Combine that approach with the lovely outdoor setting, and you had a sure thing for anyone who loves the glorious words spun by Old Will. 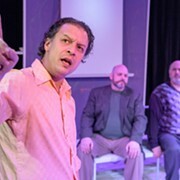 But in recent years, there’s been a shift away from the characters at OSF productions and towards acting shtick that is guaranteed to get a rise from the audience, the script be damned. The delicate balance that once kept acting gimmicks under control now seems to have been removed, while Shakespeare’s words are often spouted in a rush. This is keenly disappointing to those of us who loved how director Burgler, in the past, would help shape and contour the speeches so that virtually every moment was clear and definitive. Now, it seems that those words are only filler until we get to the next comedy routine faintly disguised as a character. 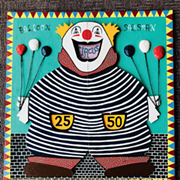 In this production, we see the return of Ernie Gonzalez as Lavache, a clown who often comments on the action. Gonzalez, who now lives in Los Angeles, is a gifted comedian who knows how to elicit laughs from an audience with his sly triple-takes and adorable mannerisms. Trouble is, the play virtually stops while he’s doing his bits. Most of the audience couldn’t care less, but when the balance between his cute riffs and the play itself tilts off-center, the play suffers. Similar distractions are provided by another enormously talented performer in the company, Ryan Zarecki, who plays the cowardly Parolles in All’s Well. In recent productions, Zarecki usually plays Zarecki, and he does it brilliantly. Again, the audience loves him. But he bypasses many character markers in his effort to be endearing and lovable on stage, and once again that works to the ultimate detriment of the play itself. There are other OSF actors who are doing their character work diligently in this piece. But Geoff Knox as the Lord Lafeu, Tess Burgler as Helena, and Trevor Buda as Bertram—among others—can’t compete with the “Laugh-In” style comedy fostered by Gonzalez and Zarecki. As a result, All’s Well doesn’t end, or begin, particularly well. One hopes OSF decides to return to their former glory, when characters ruled, long speeches were journeys of discovery and not interminable strings of sounds, and the shtick was added as an accent to the dish, not the dish itself. 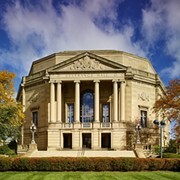 Through August 5 at Ohio Shakespeare Festival, Stan Hywet Hall & Gardens, 100 S. High St., Akron, 888-718-4253, ohioshakespearefestival.com.